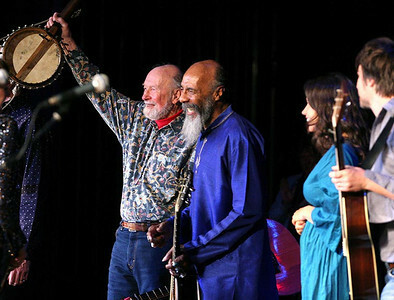 Richie with Pete Seeger, Sara Lee Guthrie, Johnny Irion, Walter Parks and Stephanie Winters. 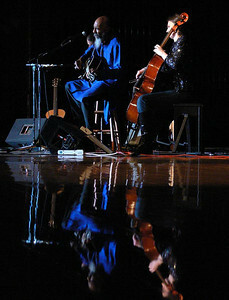 This was a benefit concert in Beacon, NY for the Hudson RIver Sloop Clearwater. 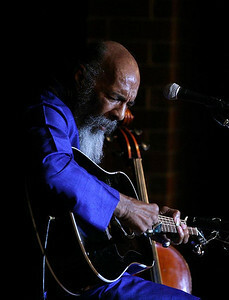 Some of our shots of Pete from this show were used on his Grammy winning CD At 89. 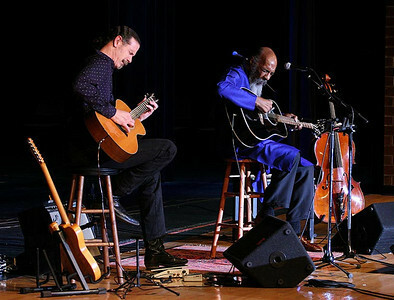 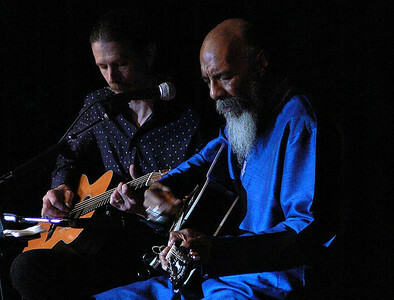 Walter Parks and Richie Havens. 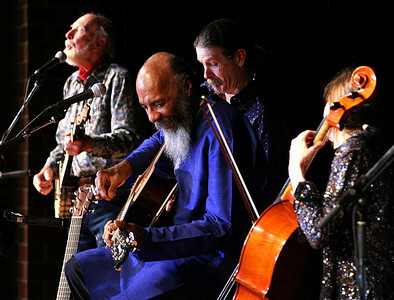 Pete Seeger, Richie Havens, Sara Lee Guthrie and Johnny Irion. 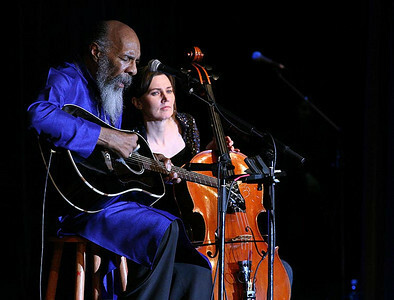 RIchie Havens and Stephanie Winters on cello. 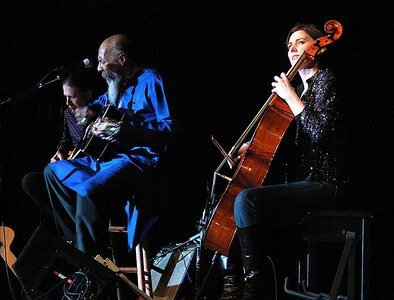 Walter Parks, Richie Havens and Stephanie Winters. 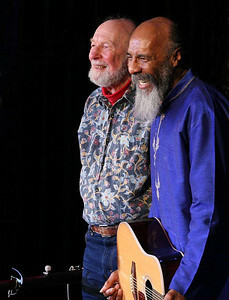 Pete Seeger and Richie Havens. 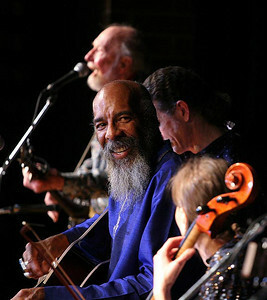 Pete Seeger, Walter Parks, Richie Havens and Stephanie Winters..
Richie Havens and Stephanie Winters. 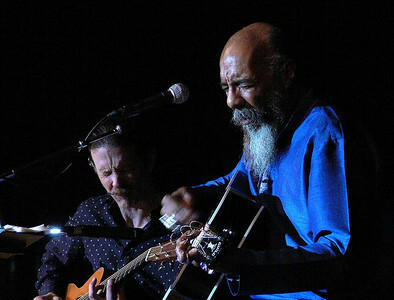 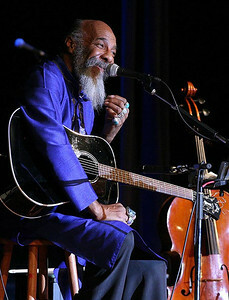 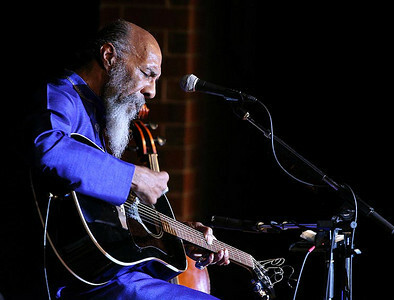 Richie Havens with Pete Seeger in background.